With an available 4G LTE Wi-Fi®† connection, you'll never be far from the things you love. Stream music and movies, access apps and social media, or set up a mobile office for up to seven devices. And since the connection is powered by your vehicle, your mobile device's battery can keep up with the action. We shop the market daily to make sure we have the best prices. If you find something better, we will beat it, using our "10% Best Price Guarantee*." 1Not available with lease and some other offers. Residency restrictions apply. 2Must take delivery same-day. 3Service varies with conditions and location. Requires active OnStar service and paid AT&T data plan. Visit onstar.com for details and limitations. 4See Dealer For Details 5*Partyka 10% Best Price Guarantee is calculated using 10% of the discount from MSRP. Cannot be retroactively applied. Must provide a copy of competing dealer purchase order. In stock only on identically equipped vehicle. See dealer for details. This is our fun in the summer store discount! 2019 CHEVROLET Bolt EV LT - Lease Offer. Payments are for a 2019 CHEVROLET Bolt EV LT with an MSRP of $36,620. 1Not available with special financing, lease and some other offers. See dealer for details. 2Not available with special financing, lease and some other offers. See dealer for details. 3State of CT Rebate While Funds Last. See dealer for details. 4Partyka Discount See dealer for Details. 5Must take delivery same-day. 6*Example based on survey. Each dealer sets own price. Your payments may vary. Payments are for a 2019 CHEVROLET Bolt EV LT with an MSRP of $36,620. 36 monthly payments total $15,444. Option to purchase at lease end for an amount to be determined at lease signing. Lessor must approve lease. Take delivery by 04-30-2019. Lessee pays for maintenance, repair, excess wear and disposition fee of $395 or less at end of lease. Payments may be higher in some states. Not available with other offers. See dealer for details. **Current Lessees of 2014 model year or newer Buick, Cadillac, Chevrolet and GMC vehicles: Payments are based on an MSRP of $36,620. 36 monthly payments total $15,444. Must show proof of lease. Option to purchase at lease end for an amount to be determined at lease signing. Lessor must approve lease. Take delivery by 04-30-2019. Lessee pays for maintenance, repair, excess wear and disposition fee of $395 or less at end of lease. Payments may be higher in some states. Not available with other offers. See dealer for details. Lease terms end or change at 30000 miles 7Service varies with conditions and location. Requires active OnStar service and paid AT&T data plan. Visit onstar.com for details and limitations. 8See Dealer For Details 9*Partyka 10% Best Price Guarantee is calculated using 10% of the discount from MSRP. Cannot be retroactively applied. Must provide a copy of competing dealer purchase order. In stock only on identically equipped vehicle. See dealer for details. 10Monthly payment is $13.89 for every $1,000 you finance. Example down payment: 11.2%. Must finance with GM Financial. Some customers may not qualify. Not available with lease and some other offers. Take new retail delivery by 4/30/2019. See dealer for details. Must have a GM lease in the home and purchase. 2019 CHEVROLET Colorado Crew 4WD LT. Payments are for a 2019 CHEVROLET Colorado Crew 4WD LT with an MSRP of $34,300. 1Not available with special financing, lease and some other offers. See dealer for details. 2Not available with special financing, lease and some other offers. See dealer for details. 3This is a National GM lease loyalty program. Eligible customers who have a current 2012 or newer Buick, Cadillac, Chevrolet or GMC lease through Ally, GM Financial or US Bank and who PURCHASE an eligible model qualify for this offer. See dealer for details. 4Must take delivery same-day. 5Service varies with conditions and location. Requires active OnStar service and paid AT&T data plan. Visit onstar.com for details and limitations. 6*Example based on survey. Each dealer sets own price. Your payments may vary. Payments are for a 2019 CHEVROLET Colorado Crew 4WD LT with an MSRP of $34,300. 36 monthly payments total $11,484. Option to purchase at lease end for an amount to be determined at lease signing. Lessor must approve lease. Take delivery by 04-30-2019. Lessee pays for maintenance, repair, excess wear and disposition fee of $395 or less at end of lease. Payments may be higher in some states. Not available with other offers. See dealer for details. 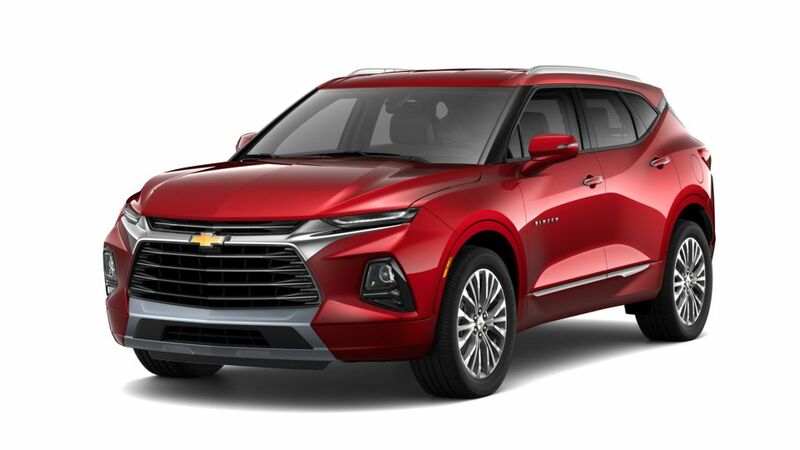 **Current Lessees of 2014 model year or newer Chevrolet Cruze, Chevrolet Equinox and Chevrolet Malibu vehicles: Payments are based on an MSRP of $34,300. 36 monthly payments total $11,484. Must show proof of lease. Option to purchase at lease end for an amount to be determined at lease signing. Lessor must approve lease. Take delivery by 04-30-2019. Lessee pays for maintenance, repair, excess wear and disposition fee of $395 or less at end of lease. Payments may be higher in some states. Not available with other offers. See dealer for details. Lease terms end or change at 30000 miles 7See Dealer For Details 8*Partyka 10% Best Price Guarantee is calculated using 10% of the discount from MSRP. Cannot be retroactively applied. Must provide a copy of competing dealer purchase order. In stock only on identically equipped vehicle. See dealer for details. 92019 CHEVROLET Colorado excludes Base. 0% APR for 60 months for qualified buyers. Monthly payment is $16.67 for every $1000 you finance. Example down payment: 18%. Some customers will not qualify. Take delivery by 04-30-2019. See Dealer for details. 10Excludes base models. Monthly payment is $16.67 for every $1,000 you finance. Example down payment: 19.9%. Must finance with GM Financial. Some customers may not qualify. Not available with lease and some other offers. Take new retail delivery by 4/30/2019. See dealer for details. 1Must take delivery same-day. 2Service varies with conditions and location. Requires active OnStar service and paid AT&T data plan. Visit onstar.com for details and limitations. 3See Dealer For Details 4*Partyka 10% Best Price Guarantee is calculated using 10% of the discount from MSRP. Cannot be retroactively applied. Must provide a copy of competing dealer purchase order. In stock only on identically equipped vehicle. See dealer for details. 2019 CHEVROLET Cruze LS. Payments are for a 2019 CHEVROLET Cruze LT with an MSRP of $21,720. 2019 CHEVROLET Cruze LT - Lease Offer. Payments are for a 2019 CHEVROLET Cruze LT with an MSRP of $21,720. 1Not available with special financing, lease and some other offers. See dealer for details. 2Not available with special financing, lease and some other offers. See dealer for details. 3This is a National GM lease loyalty program. Eligible customers who have a current 2012 or newer Buick, Cadillac, Chevrolet or GMC lease through Ally, GM Financial or US Bank and who PURCHASE an eligible model qualify for this offer. See dealer for details. 4Must take delivery same-day. 5*Example based on survey. Each dealer sets own price. Your payments may vary. Payments are for a 2019 CHEVROLET Cruze LT with an MSRP of $21,720. 36 monthly payments total $8,964. Option to purchase at lease end for an amount to be determined at lease signing. Lessor must approve lease. Take delivery by 04-30-2019. Lessee pays for maintenance, repair, excess wear and disposition fee of $395 or less at end of lease. Payments may be higher in some states. Not available with other offers. See dealer for details. **Current Lessees of 2014 model year or newer Buick, Cadillac, Chevrolet and GMC vehicles: Payments are based on an MSRP of $21,720. 36 monthly payments total $8,964. Must show proof of lease. Option to purchase at lease end for an amount to be determined at lease signing. Lessor must approve lease. Take delivery by 04-30-2019. Lessee pays for maintenance, repair, excess wear and disposition fee of $395 or less at end of lease. Payments may be higher in some states. Not available with other offers. See dealer for details. 6Service varies with conditions and location. Requires active OnStar service and paid AT&T data plan. Visit onstar.com for details and limitations. 7See Dealer For Details 8*Partyka 10% Best Price Guarantee is calculated using 10% of the discount from MSRP. Cannot be retroactively applied. Must provide a copy of competing dealer purchase order. In stock only on identically equipped vehicle. See dealer for details. 9*Example based on survey. Each dealer sets own price. Your payments may vary. Payments are for a 2019 CHEVROLET Cruze LT with an MSRP of $21,720. 36 monthly payments total $8,964. Option to purchase at lease end for an amount to be determined at lease signing. Lessor must approve lease. Take delivery by 04-30-2019. Lessee pays for maintenance, repair, excess wear and disposition fee of $395 or less at end of lease. Payments may be higher in some states. Not available with other offers. See dealer for details. **Current Lessees of 2014 model year or newer Buick, Cadillac, Chevrolet and GMC vehicles: Payments are based on an MSRP of $21,720. 36 monthly payments total $8,964. Must show proof of lease. Option to purchase at lease end for an amount to be determined at lease signing. Lessor must approve lease. Take delivery by 04-30-2019. Lessee pays for maintenance, repair, excess wear and disposition fee of $395 or less at end of lease. Payments may be higher in some states. Not available with other offers. See dealer for details. Lease terms end or change at 30000 miles 10Excludes L models. Monthly payment is $13.89 for every $1,000 you finance. Example down payment: 3.4%. Must finance with GM Financial. Some customers may not qualify. Not available with lease and some other offers. Take new retail delivery by 4/30/2019. See dealer for details. Must have a GM lease in the home and purchase or non GM lease in home and lease or purchase. 2019 CHEVROLET Equinox FWD LT. Payments are for a 2019 CHEVROLET Equinox FWD LT with an MSRP of $27,200. 1Excludes L model. Not available with special financing, lease and some other offers. See participating dealer for details. 2Excludes L model. Not available with special financing, lease and some other offers. See participating dealer for details. 3Must qualify through GM Financial. Not available with special finance, lease, or some other offers. Take delivery by 04-30-2019. See dealer for details. 4This is a National GM lease loyalty program. Eligible customers who have a current 2012 or newer Buick, Cadillac, Chevrolet or GMC lease through Ally, GM Financial or US Bank and who PURCHASE an eligible model qualify for this offer. Customers who are CURRENTLY LEASING a 2012 or newer non-GM (i.e., non-Buick, Cadillac, Chevrolet, GMC, Hummer, Oldsmobile, Pontiac or Saturn) passenger car or truck will be eligible to use this offer towards the purchase or lease of an eligible model listed below. May not be combined with other offers. See dealer for details. 5Must take delivery same-day. 6*Example based on survey. Each dealer sets own price. Your payments may vary. Payments are for a 2019 CHEVROLET Equinox FWD LT with an MSRP of $27,200. 39 monthly payments total $8,931. Option to purchase at lease end for an amount to be determined at lease signing. Lessor must approve lease. Take delivery by 04-30-2019. Lessee pays for maintenance, repair, excess wear and disposition fee of $395 or less at end of lease. Payments may be higher in some states. Not available with other offers. See dealer for details. **Current Lessees of 2014 model year or newer Buick, Cadillac, Chevrolet and GMC vehicles: Payments are based on an MSRP of $27,200. 39 monthly payments total $8,931. Must show proof of lease. Option to purchase at lease end for an amount to be determined at lease signing. Lessor must approve lease. Take delivery by 04-30-2019. Lessee pays for maintenance, repair, excess wear and disposition fee of $395 or less at end of lease. Payments may be higher in some states. Not available with other offers. See dealer for details. Lease terms end or change at 32500 miles 7Service varies with conditions and location. Requires active OnStar service and paid AT&T data plan. Visit onstar.com for details and limitations. 8See Dealer For Details 9*Partyka 10% Best Price Guarantee is calculated using 10% of the discount from MSRP. Cannot be retroactively applied. Must provide a copy of competing dealer purchase order. In stock only on identically equipped vehicle. See dealer for details. 10Excludes L models. Monthly payment is $13.89 for every $1,000 you finance. Example down payment: 5.2%. Must finance with GM Financial. Some customers may not qualify. Not available with lease and some other offers. Take new retail delivery by 4/30/2019. See dealer for details. 1Residency restrictions apply. 2Must qualify through GM Financial. Not available with special finance, lease, or some other offers. Take delivery by 04-30-2019. See dealer for details. 3Not available with special finance or lease offers. Take delivery by 04-30-2019. 4This is a National GM lease loyalty program. Eligible customers who have a current 2012 or newer Buick, Cadillac, Chevrolet or GMC lease through Ally, GM Financial or US Bank and who PURCHASE an eligible model qualify for this offer. Customers who are CURRENTLY LEASING a 2012 or newer non-GM (i.e., non-Buick, Cadillac, Chevrolet, GMC, Hummer, Oldsmobile, Pontiac or Saturn) passenger car or truck will be eligible to use this offer towards the purchase or lease of an eligible model listed below. May not be combined with other offers. See dealer for details. 5Must take delivery same-day. 6*Example based on survey. Each dealer sets own price. Your payments may vary. Payments are for a 2019 CHEVROLET Equinox FWD LT with an MSRP of $27,200. 39 monthly payments total $8,931. Option to purchase at lease end for an amount to be determined at lease signing. Lessor must approve lease. Take delivery by 04-30-2019. Lessee pays for maintenance, repair, excess wear and disposition fee of $395 or less at end of lease. Payments may be higher in some states. Not available with other offers. See dealer for details. **Current Lessees of 2014 model year or newer Buick, Cadillac, Chevrolet and GMC vehicles: Payments are based on an MSRP of $27,200. 39 monthly payments total $8,931. Must show proof of lease. Option to purchase at lease end for an amount to be determined at lease signing. Lessor must approve lease. Take delivery by 04-30-2019. Lessee pays for maintenance, repair, excess wear and disposition fee of $395 or less at end of lease. Payments may be higher in some states. Not available with other offers. See dealer for details. Lease terms end or change at 32500 miles 7Service varies with conditions and location. Requires active OnStar service and paid AT&T data plan. Visit onstar.com for details and limitations. 8See Dealer For Details 9*Partyka 10% Best Price Guarantee is calculated using 10% of the discount from MSRP. Cannot be retroactively applied. Must provide a copy of competing dealer purchase order. In stock only on identically equipped vehicle. See dealer for details. 10Excludes L models. Monthly payment is $13.89 for every $1,000 you finance. Example down payment: 5.2%. Must finance with GM Financial. Some customers may not qualify. Not available with lease and some other offers. Take new retail delivery by 4/30/2019. See dealer for details. Prices include all applicable rebates, do not include additional fees and costs of closing, including government fees and taxes, any finance charges, any dealer documentation fees, any emissions testing fees or other fees. All prices, specifications and availability subject to change without notice. Contact dealer for most current information Tax, title, license (unless itemized above) are extra. Not available with special finance, lease and some other offers. Find your new Chevrolet right here near New Haven at Lee Partyka Chevrolet just down the road. We invite you to check out our lot and browse our inventory in person so you can take a test drive and speak with one of our friendly and professional associates who will help translate your needs and wishes into the perfect vehicle for your lifestyle. We look forward to being the next stop for all your Chevrolet needs in New Haven. Find out why New Haven car shoppers choose Lee Partyka Chevrolet as their choice New Haven car dealership! Contact Lee Partyka Chevrolet for more information on the new Chevrolet, just a short drive from West Haven & East Haven. Call (203) 687-4751 to speak to our courteous and professional staff to learn more or to schedule a test drive. Lee Partyka Chevrolet would love the opportunity to show you why East Haven car shoppers make the trip to our dealership. We have a great selection of new and used vehicles for sale and offer a friendly, no pressure environment while you tell us what vehicle will fit your needs. We are your West Haven area dealership!